Exciting News! Monthly Billing Starts February 1, 2019! Pardon Our Dust! Two important construction projects start October 15, 2018! 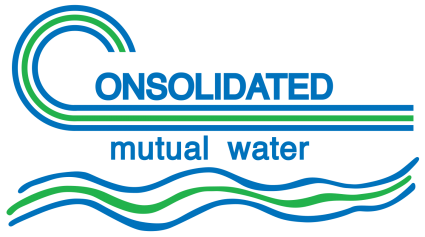 Consolidated Mutual Water Company has implemented ‘Eye on Water’ – an exciting new program that provides consumers the ability to track their water usage. This innovative technology allows consumers to view and track their water consumption on an hourly, daily, monthly, and even a yearly basis. Most importantly, you can set up ‘leak’ alert notifications – which could save you hundreds of dollars, and it helps you conserve a most precious resource in Colorado…water! We recommend and strongly encourage you to sign up and take advantage of Eye on Water’s benefits. To create an account, you will need your email address and your 10-digit account number from your water bill, found in the upper right corner of the statement. Click the “See Your Consumption” button above to get started. by mail, by phone, or in person. Interactive Voice Response (IVR) goes through our third-party payment processor, JetPay. Click on the the “Pay Your Bill Online” button above to make a one-time payment, or to set up the convenience of recurring, automated payments.